This is a new color! A double sided delight! 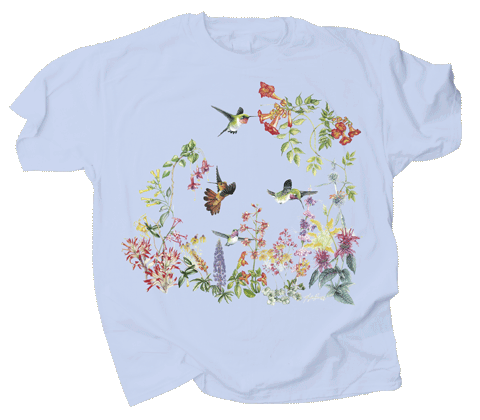 Includes all of the hummingbirds you might attract to a nectar garden in the U.S. or Canada. And, of course, a beautiful selection of the garden flowers, hummingbirds love best.